Our, meaning My son Jordan and I, GSD, Wendi crossed the Bridge 4 years ago. She was a rescue Pup. This dog was my sons best friend. We had a trampoline in our yard. Wendi would 'protect' the trampoline, when she was out with the kids. Her MO was to stand in the middle and bark at everyone coming near. Then she would lie down and let everyone on . Jordan and Wendi slept in the same bed. Jordan' Sisters would try to sneak into his room, but there was Wendi. She would bark and stand up in the bed. Of course the girls would run back to their room. Wendi passed due to a Rattlesnake Bite in 2006.Jordan to this day has a Pic of Wendi by his bed. What he does not know, is there is a 13 week old GSD waiting on him to get home. His Name is TY. Wayne, I am so sorry for your loss of your wonderful German Shepherd Wendi. What a great protector she was. I know you and your family, but especially your son Jordan, will miss her terribly. What an awful loss for your family. And to the rest of our readers, thanks so much for reading this story and please come back often to see what else is going on in our growing German Shepherd community. Let us know what you think about the above story by leaving some comments below. It's easy enough to do - just click on the link that says "Click here to post comments" and if you want to read what others have said you can do that too at the same place. 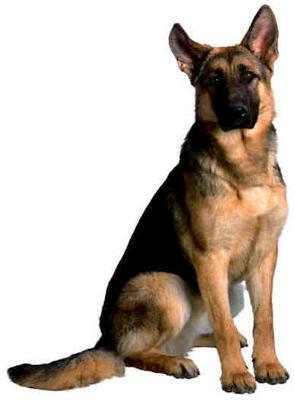 And if you get the chance please leave some comments, place a video of your own or tell us your own German Shepherd story in our sharing section. And come back often as things will change daily.